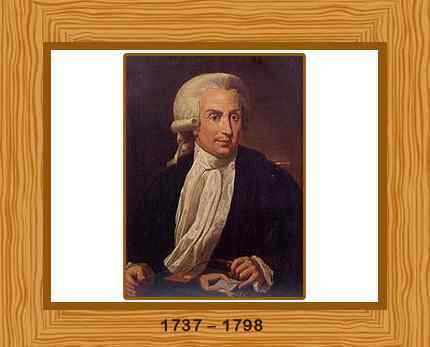 Luigi Galvani was an Italian physician and physicist. One of the early pioneers of bioelectricity, he is known for his extraordinary work on the nature and effects of electricity in an animal tissue, which later led to the invention of the voltaic pile. Born at Bologna, Italy, on September 9, 1737, Luigi Galvani, like his father, acquired a degree in medicine from Bologna’s medical school. Galvani took a job of comparative anatomist and gained fame for his research on the genitourinary tract of birds. In 1762, he became a lecturer of anatomy at the University of Bologna. During a random experiment on November 6, 1787, Galvani discovered that a frog muscle could be made to contract by placing an iron wire to the muscle and a copper wire to the nerve. 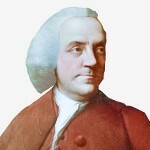 He built an instrument in which a frog’s nerve was attached to an electrode of one metal, and an electrode of a different metal was attached with the frog muscle. He was well aware of the fact that an animal body made convulsive movements when electricity was applied to it. This discovery played a historical role in bioelectricity as it proved that electricity was not direct in its action. He established that it did not flow directly from the conductor into the frog muscle but was discharged from the conductor to another element in what he termed as a “metallic arc”. A few years later, Alessandro Volta’s findings disputed his discovery and maintained that animal electricity did not exist. While Galvani remained silent on the controversy, scholarly opinion was divided on the subject. Finally, in 1843, Emil du Bois-Reymond successfully measured the injury potential from frog muscle; therefore, putting an end to it and establishing that bioelectric forces exist within living tissue. Galvani died on December 4, 1798 in his childhood house in Bologna. He was 61 years old.